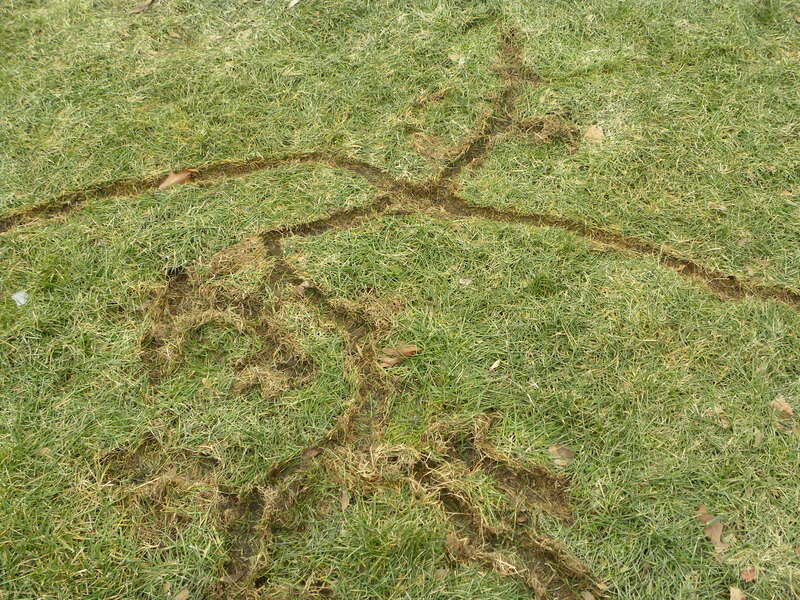 There’s nothing more frustrating than having a beautiful lawn ruined by a dead spot or divot. From fertilizer spills to mechanical damage, consider this feature your ‘pocket book’ guide to quick lawn repair. No messing around…let’s get your turf back in top shape! It happens. Whether you’re filling up your spreader with a bag of granular fertilizer or filling your spray tank up with liquid, a fertilizer spill (especially those high in nitrogen) usually ends up leaving your turf with a dead patch. When fertilizer spills, nitrogen-containing salts draw water out of the soil as well as plant tissues, leaving turf to desiccate (dry out). Too much nitrogen also shifts the soil pH more acidic which creates a challenging growing environment. The good news is, if you act quickly, you might be able to save your turf from almost certain devastation. Immediately soak the spill area with water and dilute/distribute the fertilizer granules as much as possible. Continue to drench the surrounding area to distribute the fertilizer over as much surface area as possible. Apply a modest dusting of lime over the primary spill area and a light dusting of lime over the surrounding area. Water in gently. Immediately soak the spill area with water and dilute the fertilizer as much as possible.Continue to drench the surrounding area to distribute the fertilizer over as much surface area as possible. Use shovel to dig up the entire dead patch.Make sure to dig at least 4 inches down. Discard or compost the dead patch. Fill in the void with good quality top soil. Spread new grass seed across the topsoil surface.Gently work the seed into the soil with a dirt rake (about 0.5”-1” down). Tamp lightly. Cover with straw. Thoroughly water the seeds through the germination process. Continue to water once a day until the patch has filled in. Fido may be ‘man’s best friend’, but he’s certainly not ‘lawns best friend!´ Dog and cat urine on the lawn is almost exactly like having a fertilizer spill. One of the largest components of animal urine is urea, the same exact urea from which most nitrogen fertilizers are made. Ideally, if you see your dog or cat urinating on the lawn, you should immediately treat it as a liquid fertilizer spill and dilute it with water to avoid ending up with a dead patch. With that said, we fully understand that most people aren’t going to do that. In the event you do end up with a dead spot and the culprit is animal urine, follow the steps in the previous example to repair your turf. Apply pelletized gypsum to the affected area and water in gently. Gypsum will help reduce compaction as well flush out the excess road salt. Apply a thin layer of organic material to the affected area (top soil, potting soil, or humic acid all work). Cover the affected area with straw and thoroughly water for several weeks. Reseed if necessary (follow reseeding steps in first example). Whether the dog was digging in the dirt or the kids tore up the turf playing soccer in the back yard, mechanical damage can be a visual eyesore. Mechanical damage can also come from burrowing creatures such as voles. These animals can do just as much damage as root feeding insects such as grubs. Before spending time and resources on turf repair, first make sure you have established the cause. As redundant as this sounds, make sure the cause really is grub damage. Root-feeding grubs and insects don’t always kill turf, but their underground presence can usually be verified by tugging gently upward on a patch of turf. If the turf easily comes up (like pulling a flat blanket straight upward off a bed), you probably have grub damage. If the turf doesn’t budge, something else may be the cause. Dethatch and aerate the target area as thorough as possible. Treat the affected area with a traditional insecticide (such as imidacloprid) or a bioinsecticide (such as nematodes). Be careful not to over water recovering turf as excess water creates a friendly environment for feeding grubs. If dead patches develop, follow the ‘dead patch’ replacement procedure in the fertilizer spill section. Place mole baits as deep as possible in the tunnel entrances. Use gloves and other protective gear when applying these baits as they are poisonous. Fill in any entrances and/or dirt mounds created by the moles. Use a castor-based mole repellent near the collapsed tunnel entrances. Water in thoroughly so that the castor oil penetrates the soil as much as possible. Use a yard roller to flatten your lawn in a effort to compress any additional tunnels that lie near the surface. Tip: soak the lawn in water first, as this will help make the soil more pliable. Moles can be difficult to eliminate; this process may take several weeks or months, and the above outlined steps may need to be repeated before being effective. High foot traffic is one of the most difficult problems to repair because it leads to severe compaction. Compaction can stress both root and shoot tissue and severely hinders water penetration and oxygen exchange. First, thoroughly aerate the compacted zone using a mechanical aerator. If the ground is very hard and virtually barren of turf, consider using a rototiller to turn over the soil. If tilling is necessary, use this opportunity to add organic material (such as a light layer of compost or humic acid) to the soil. Consider adding lime if a soil test warrants it. Spread new grass seed across the topsoil surface. Gently work the seed into the soil with a dirt rake (about 0.5”-1” down). Tamp lightly. Cover with straw. DO NOT LET PEOPLE WALK ON THE NEWLY SEEDED TURF. To give turf the best possible chance of surviving future high foot traffic, water turf thoroughly and aerate once or twice a year to reduce compaction. Again, it happens. You’re filling up your mower with gasoline or changing out the oil. Either way, the reservoir overflows and petroleum product ends up on the lawn. We all know what happens to turf when gas or oil hits the ground; a few days later you’re going to end up with a dead spot. Immediately break out the hose and attempt to dilute the spill as much as possible. Some species of soil bacteria can naturally breakdown hydrocarbons up to a certain concentration. Consider sprinkling activated charcoal across the soil surface as this material is extremely effective at soaking up hydrocarbons, heavy metals, and other toxic compounds. Do not dilute the spill as this will only spread a significant problem over a larger area. Wait and observe. The affected turf will likely die within a few days. Once you are satisfied the dead patch perimeter has been established, grab a shovel and remove the entire dead patch as well as a few inches of healthy turf around the perimeter of the dead patch. Dig down at least 1 foot, as it is imperative to remove as much petroleum contamination as possible. Dispose of the dead patch in an environmentally appropriate manner. Fill in the void with fresh top soil. Add organic components (such as humic acid). Add lime if warranted by a soil test. Remember, turf establishes best in the spring and fall months. 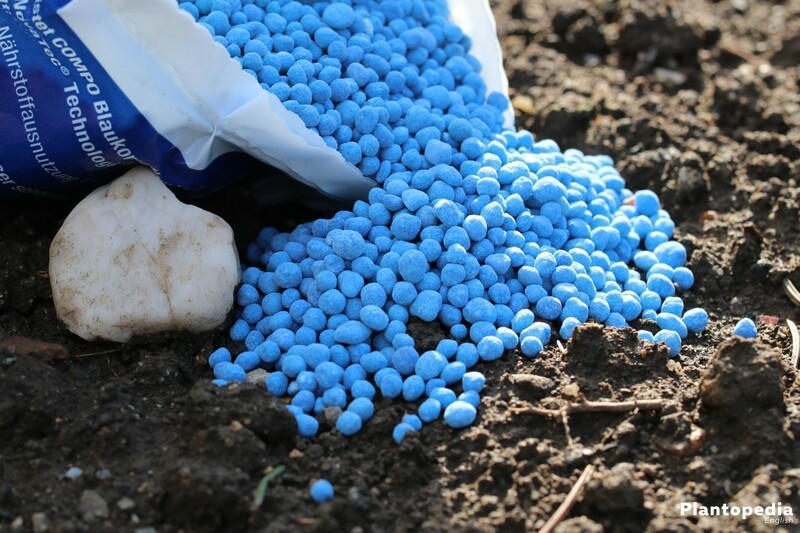 In the event you need to reseed for whatever reason, consider reseeding in the spring or fall as this will greatly enhance the success rate of your newly establishing turf. Preventative lawn maintenance will reduce the chances of many of these common problems from occurring. The old cliché is true… the best defense is a good offense. Lawns that are adequately fertilized, watered, and aerated develop more robust root systems that are better to defend against abiotic and biotic stresses. Consider following a yearly turf maintenance plan or hiring a lawn care professional. Many state university ag extension offices post free maintenance calendars on their websites which are specialized for turf in your region and climate. If a pest problem doesn’t seem to be resolving itself, more aggressive strategies may need to be employed. Don’t hesitate to use the services of a licensed professional should more robust traps and pesticides be needed.